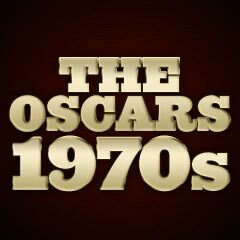 JACK LEMMON in "Save the Tiger", Marlon Brando in "Last Tango in Paris", Jack Nicholson in "The Last Detail", Al Pacino in "Serpico", Robert Redford in "The Sting"
GLENDA JACKSON in "A Touch of Class", Ellen Burstyn in "The Exorcist", Marsha Mason in "Cinderella Liberty", Barbra Streisand in "The Way We Were", Joanne Woodward in "Summer Wishes, Winter Dreams"
JOHN HOUSEMAN in "The Paper Chase", Vincent Gardenia in "Bang the Drum Slowly", Jack Gilford in "Save the Tiger", Jason Miller in "The Exorcist", Randy Quaid in "The Last Detail"
TATUM O'NEAL in "Paper Moon", Linda Blair in "The Exorcist", Candy Clark in "American Graffiti", Madeline Kahn in "Paper Moon", Sylvia Sidney in "Summer Wishes, Winter Dreams"
GEORGE ROY HILL for "The Sting", Ingmar Bergman for "Cries and Whispers", Bernardo Bertolucci for "Last Tango in Paris", William Friedkin for "The Exorcist", George Lucas for "American Graffiti"
The 1973 Best Picture winner was a foregone conclusion - the entertaining, stylish, playful, charming, over-produced comedy-drama The Sting, that reunited the successful 'buddy-buddy' team of director George Roy Hill and stars Robert Redford and Paul Newman from a film four years earlier - the comic western Butch Cassidy and the Sundance Kid (1969). The film had an entertaining, good-natured twisting-plot about two con artists (Newman and Redford) in 1930s, Depression-and Prohibition-Era Chicago who joined together for revenge (with an off-track horse betting trick) against a big-time racketeer (Robert Shaw). The Best Actor winner was Jack Lemmon (with his fifth of eight career nominations and his sole Best Actor Oscar win) as moralizing Harry Stoner - a disillusioned, unlucky, middle-aged, Los Angeles garment manufacturer who faces financial ruin and becomes depressed when considering pimping, cooking the books, and arson as the way to collect insurance money in John G. Avildsen's box-office failure Save the Tiger (with three nominations and one win - Best Actor). [Lemmon's win, his second Oscar, made him the first recipient of both a Best Actor and a Best Supporting Actor Award (which he earlier had received for Mister Roberts (1955)).] Lemmon appeared to have won this year's award for a lesser film role in a mediocre film - it was a small compensation for losing in so many other years in comedic roles (ie., Some Like It Hot (1959), The Apartment (1960), Days of Wine and Roses (1962)), but his victory denied the award to more impressive roles by fellow actors/nominees. The remaining two Best Supporting Actor nominees were Vincent Gardenia (with his first of two unsuccessful career nominations) as baseball team manager Dutch Schnell in director John Hancock's Bang the Drum Slowly (the film's sole nomination), and Randy Quaid (with his sole nomination) as Meadows SN - the bumbling, naive prisoner being escorted by hard-boiled but compassionate petty officers to imprisonment in The Last Detail. The remaining two Best Supporting Actress nominees were Candy Clark (with her sole nomination) as Debbie - a ditzy, "experienced" blonde teenager in American Graffiti, and Sylvia Sidney (with her sole career nomination in a long film career) as Wanda Pritchett, the mother of Rita Walden (co-star Joanne Woodward) in Summer Wishes, Winter Dreams. An Honorary Award was presented this year to wise-cracking Groucho Marx "in recognition of his brilliant creativity and for the unequaled achievements of the Marx Brothers in the art of motion-picture comedy." He had appeared with his brothers in original, un-nominated films, such as The Cocoanuts (1929), Animal Crackers (1930), Monkey Business (1931), Horse Feathers (1932), Duck Soup (1933), A Night at the Opera (1935), and A Day at the Races (1937). There were eleven films that might have been nominated for Best Picture - but weren't. The biggest omission was director Martin Scorsese's first major film Mean Streets, starring Robert De Niro as the volatile Johnny Boy and Harvey Keitel as religiously-conflicted Mafia apprentice Charlie Cappa, two hoods coming of age in their Little Italy neighborhood. It didn't receive even one nomination! Robert De Niro's and Michael Moriarty's performances in director John Hancock's baseball/sports film Bang the Drum Slowly were also ignored. 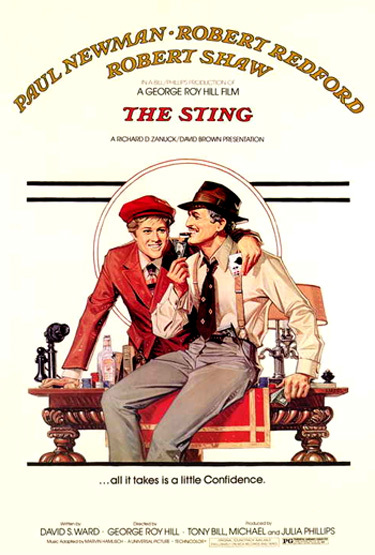 Although Robert Redford was nominated as Best Actor for The Sting (and Paul Newman was NOT! ), he was neglected for his equally-excellent role as WASP student Hubbell Gardiner in The Way We Were.